The College of William & Mary in Virginia (also known as William & Mary, or W&M) is a public research university located in Williamsburg, Virginia, United States. Royally founded in 1693 by letters patent issued by King William III and Queen Mary II, it is the second-oldest institution of higher education in the United States after Harvard University, and the oldest in the American South. William & Mary educated U.S. Presidents Thomas Jefferson, James Monroe, and John Tyler as well as other key figures important to the development of the nation, including U.S. Supreme Court Chief Justice John Marshall, Speaker of the House Henry Clay, sixteen members of the Continental Congress, and four signers of the Declaration of Independence, earning it the nickname "the Alma Mater of the Nation." A young George Washington also received his surveyor's license through the College. W&M students founded the Phi Beta Kappa academic honor society in 1776 and W&M was the first school of higher education in the United States to install an honor code of conduct for students. The establishment of graduate programs in law and medicine in 1779 makes it one of the first universities in the United States. In addition to its undergraduate program (which includes an international joint degree program with the University of St Andrews and a joint engineering program with Columbia University), W&M is home to several graduate programs (including computer science, public policy, physics, and colonial history) and four professional schools (law, business, education, and marine science). Williamsburg was granted a royal charter as a city in 1722 by the Crown and served as the capital of Colonial Virginia from 1699 to 1780. During this time, the College served as a law center and lawmakers frequently used its buildings. 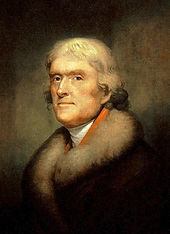 It educated future U.S. Presidents Thomas Jefferson, James Monroe, and John Tyler. The College has been called "the Alma Mater of a Nation" because of its close ties to America's founding fathers. A 17-year-old George Washington received his surveyor's license through the College and would return as its first American chancellor. William & Mary is famous for its firsts: the first U.S. institution with a Royal Charter, the first Greek-letter society (Phi Beta Kappa, founded in 1776), the first student honor code and the first law school in America. The College became a state-supported school in 1906 and became coeducational in 1918. In 1928, John D. Rockefeller, Jr. chose the College Building as the first building to be returned to its 18th-century appearance as part of the iconic Colonial Williamsburg restoration. At the outset of the American Civil War (1861–1865), enlistments in the Confederate States Army depleted the student body and on May 10, 1861, the faculty voted to close the College for the duration of the conflict. The College Building was used as a Confederate barracks and later as a hospital, first by Confederate, and later Union forces. The Battle of Williamsburg was fought nearby during the Peninsula Campaign on May 5, 1862, and the city was captured by the Union army the next day. The Brafferton building of the College was used for a time as quarters for the commanding officer of the Union garrison occupying the town. On September 9, 1862, drunken soldiers of the 5th Pennsylvania Cavalry set fire to the College Building, purportedly in an attempt to prevent Confederate snipers from using it for cover. Much damage was done to the community during the Union occupation, which lasted until September 1865. 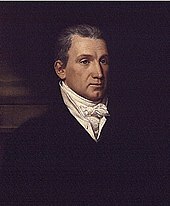 In 1974, Jay Winston Johns willed Ash Lawn–Highland, the 535-acre (2.17 km2) historic Albemarle County, Virginia estate of alumnus and U.S. President James Monroe, to the College. The College restored this historic presidential home near Charlottesville and opened it to the public. On July 25, 2012, Eastern Virginia Medical School (EVMS), in nearby Norfolk, Virginia made a joint announcement with The College that the two schools are considering merging so that EVMS would become the William & Mary School of Medicine. Any such merger would have to be confirmed by the two schools and then confirmed by the Virginia General Assembly and Governor. A pilot relationship, supported by $200,000 grant in the Virginia budget, was subsequently agreed upon by both universities to examine this possible union in reality. 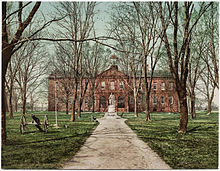 The Sir Christopher Wren Building is the oldest college building in the United States and a National Historic Landmark. The building, colloquially referred to as the "Wren Building", was named upon its renovation in 1931 to honor the English architect Sir Christopher Wren. The basis for the 1930s name is a 1724 history in which Hugh Jones stated the 1699 design was "first modelled by Sir Christopher Wren" and then was adapted "by the Gentlemen there" in Virginia; little is known about how it looked, since it burned within a few years of its completion. Today's Wren Building is based on the design of its 1716 replacement. The College's Alumni Association recently published an article suggesting Wren's connection to the 1931 building is a viable subject of investigation. The Board of Visitors delegates to a president the operating responsibility and accountability for the administrative, fiscal, and academic performance of the College as well as representing the College on public occasions such as conferral of degrees. In September 2008, W. Taylor Reveley III became the 27th President of the College, succeeding Gene Nichol. The president is assisted by a provost, the senior academic officer of the university, and several vice presidents. Admission to W&M is considered "most selective" according to U.S. News and World Report. There were 14,952 applications for admission to the class of 2019 (enrolling fall 2015): 5,153 were admitted (34.5%) and 1,518 enrolled (an admissions yield of 29.5%). The average high school GPA of enrolled freshmen was 4.19, and 92.4% had a high school GPA of 3.75 or higher. The middle 50% range on SAT scores was 630–730 for reading, 630–730 for math, and 620–720 for writing, while the ACT Composite middle 50% range was 28–32. Undergraduate tuition for 2016–2017 was $13,127 for Virginia residents and $36,158 for out-of-state students. W&M granted over $20.9 million in need-based scholarships in 2014–2015 to 1,734 undergraduates (27.5% of the undergraduate student body); 37% of the student body received loans, and average student indebtedness was $26,017. In the 15 years since U.S. News & World Report began ranking public universities as a separate category, W&M's undergraduate program has always ranked in the Top 10. W&M was ranked 6th best public and tied for 32nd best overall university program in America, according to the 2017 U.S. News & World Report rankings. U.S. News & World Report also rated William & Mary's undergraduate teaching as the 4th best in the nation in its 2016 rankings. In the 2016 "America's Top Colleges" ranking by Forbes, W&M was ranked the 5th best public and 38th out of the 660 best private and public colleges and universities. The College of William & Mary Physics Graduate program was ranked 77th among all schools in the 2016 edition of the U.S. News & World Report graduate school rankings. William & Mary's graduate business program (Mason School of Business) ranked 37th by Business Week in 2015, 41st by Forbes in 2011, #40 nationally by the Financial Times in 2008 and 17th nationally by the Wall Street Journal. It is also ranked tied for 74th by U.S. News & World Report in its rankings for 2016. William and Mary's School of Education ranked 46th in the 2016 U.S. News & World Report rankings. The College, vis-à-vis the Omohundro Institute of Early American History and Culture publishes the William and Mary Quarterly, a scholarly journal focusing on colonial history, particularly in North America and the Atlantic World from the Age of Discovery onward. Since the 17th century, many prominent academics have chosen to teach at William & Mary. 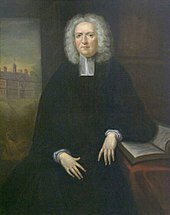 Distinguished faculty include the first professor of law in the United States, George Wythe (who taught Henry Clay, John Marshall, and Thomas Jefferson, among others); William Small (Thomas Jefferson's cherished mentor); William and Thomas Dawson, who were also presidents of William & Mary. In addition, the founder and first president of the Massachusetts Institute of Technology – William Barton Rogers – taught chemistry at William & Mary (which was also Professor Barton's alma mater). Several members of the socially elite and politically influential Tucker family, including Nathaniel Beverley, St. George, and Henry St. George Tucker, Sr. (who penned the original honor code pledge for the University of Virginia that remains in use there today), taught at William & Mary. The basis of W&M's Honor Pledge was written over 150 years ago by alumnus and law professor Henry St. George Tucker, Sr. While teaching law at the University of Virginia, Tucker proposed students attach a pledge to all exams confirming on their honor they did not receive any assistance. Tucker's honor pledge was the early basis of the Honor System at the University of Virginia. At W&M, the Honor System stands as one of the College's most important traditions; it remains student-administered through the Honor Council with the advice of the faculty and administration of the College. The College's Honor System is codified such that students found guilty of cheating, stealing or lying are subject to sanctions ranging anywhere from a verbal warning up to expulsion. William & Mary has a number of traditions, including the Yule Log Ceremony, at which the president dresses as Santa Claus and reads a rendition of "How the Grinch Stole Christmas", the Vice-President of Student Affairs reads "Twas the Night Before Finals", and The Gentlemen of the College sing the song "The Twelve Days of Christmas". Christmas is a grand celebration at the College; decorated Christmas trees abound on campus. This popular tradition in fact started when German immigrant Charles Minnegerode, a humanities professor at the College in 1842 who taught Latin and Greek, brought one of the first Christmas trees to America. Entering into the social life of post-colonial Virginia, Minnigerode introduced the German custom of decorating an evergreen tree at Christmas at the home of law professor St. George Tucker, thereby becoming another of many influences that prompted Americans to adopt the practice at about that time. William & Mary has a long history of fraternities and sororities dating back to Phi Beta Kappa, the first "Greek-letter" organization, which was founded there in 1776 . Today, Greek organizations play an important role in the College community, along with other social organizations (e.g. theatre and club sports organizations). Overall, about one-third of its undergraduates are active members of 16 national fraternities and 13 sororities. William & Mary is also home to several unique non-Greek social fraternities, notably the Nu Kappa Epsilon music sorority, the Alpha Phi Omega co-ed service fraternity, and the Queens' Guard. Formerly known as the "Indians", William & Mary's athletic teams are now known as the "Tribe". The College fields NCAA Division I teams for men and women in basketball, cross country, golf, gymnastics, soccer, swimming and diving, tennis, and indoor and outdoor track and field. In addition, there are women's field hockey, lacrosse and volleyball squads as well as men's baseball and football. In the 2004–05 season, the Tribe garnered five Colonial Athletic Association titles, and it leads the conference with over 80 titles. In that same year, several teams competed in the NCAA Championships, with the football team appearing in the Division I-AA national semifinals. The men's cross country team finished 8th and 5th at the Division I NCAA Men's Cross Country Championship in 2006 and 2009, respectively. The William & Mary men's basketball team is one of five original Division I schools that has never been to the NCAA Division I Men's Basketball Tournament. 1896: The W&M football team was nicknamed "The Orange and White" after the team colors. 1909: The uniform colors changed to the "Orange and Black", because the white became dirty too quickly, according to one report. The team was consequently called "The Orange and Black." 1923: The College earned the nickname "Fighting Virginians" from the "Northern Press" as a result of the team's effort in a 24–7 loss to the Syracuse Orangemen. 1924: The College's colors were changed to green, gold and silver. The colors came from the College's coat of arms. The change was officially made so that the College and athletic colors would be identical. 1924: The term "Tribe" was first referenced in the 1924 edition of the Colonial Echo. Other nicknames that were given to the College's teams during this time period and the years following it include Big Green, Braves and Warriors. Late 1930s to 1942: An Indian pony WAMPO was used on the sidelines as a mascot. The pony often carried a rider in full Indian attire. WAMPO's name was derived from "William And Mary POny." 1947: One sports write dubbed the W&M football team "The Big Green Indians" during its first post-season bowl bid. 1953: The team became known as the "Iron Indians", after the name appeared in a Richmond Times-Dispatch article. Mid-to-late-1950s to mid-1990s: WAMI (William And Mary Indian), a caricature similar to that used by the Cleveland Indians was used as a logo. The WAMPO and rider in buckskins tradition continued sporadically until the late 1980s. Often as part of cheerleading at William and Mary, including for games and parades, a man and/or woman wore Native American inspired costume. This was common from the 1950s through the early 1990s. The 1992 Colonial Echo yearbook includes mention of student Shawn Wilkins who dressed as the mascot. She wore a white dress with fringe, a headband with feathers, and her face was painted (p. 309). 1974: A "WM" with feathers logo first appeared in a 1974 Football Yearbook and then on the helmets of the 1977 football team. 1978: The Indian images were removed from the athletic logo. The term "Indian" was phased out by the early 1980s. The "WM' with two feathers became the college's official new logo, and the term "Tribe" continued to be used. 1989: A committee to examine school spirit and tradition was convened to discuss whether the Tribe nickname should be phased out. 2001 to 2005: Briefly,a green costumed character named Colonel Ebirt served as an unofficial mascot. The character's name was derived from the word Tribe spelled backwards. 2006: In May, the National Collegiate Athletic Association determined that William and Mary could keep its Tribe nickname but had to do away with its logo because the two feathers potentially could be offensive. The college appealed the NCAA decision but received notice in August that the appeal had been denied. Subsequently, a selection process was conducted to select the college's new mascot. In December 2009, five finalists – including a Griffin, King and Queen, the Phoenix, a Pug and the Wren – were announced from more than 800 submissions. 2010 to present: On April 6, 2010, President Taylor Reveley announced that the college has selected the Griffin as its new mascot. The new mascot does not replace the university's nickname of Tribe, nor the use of the stylized "Tribe" logo. The College of William & Mary counts many famous and historical people among its alumni, including three of the first ten presidents of the United States, four United States Supreme Court justices, dozens of United States senators and representatives and current entertainers. A list can be found here. ^ About William and Mary | About W&M Archived July 15, 2008, at the Wayback Machine. ^ a b Ukman, Jason (September 6, 2011). "Gates takes chancellor's post at William and Mary". Washington Post. Retrieved 2011-09-06. ^ Trifone, Nicole (April 23, 2013). "Unanimous Vote Puts '85 Grad to Lead W&M Board of Visitors". Williamsburg Yorktown Daily. Retrieved October 30, 2013. ^ "University Colors – University Style Guide". Retrieved November 19, 2014. ^ "William & Mary – History of the College". www.wm.edu. Retrieved 2015-10-31. ^ Webster, Homer J. (1902) "Schools and Colleges in Colonial Times", The New England Magazine: An Illustrated Monthly, v. XXVII, p. 374, Google Books entry Archived May 6, 2016, at the Wayback Machine. ^ GmbH, Sedo. "williamsburgpostcards.com". williamsburgpostcards.com. Archived from the original on 2012-01-20. ^ William & Mary – History & Traditions Archived April 15, 2016, at the Wayback Machine.. Wm.edu. Retrieved on 2013-08-09. ^ "Virginia Vignettes » What Was the Brafferton School?". Virginiavignettes.org. August 2007. Retrieved September 26, 2008. ^ Shhh! The Secret Side to the College's Lesser Known Societies – The DoG Street Journal Archived September 28, 2011, at the Wayback Machine. ^ Peeking Into Closed Societies – The Flat Hat Archived September 30, 2011, at the Wayback Machine. ^ Women at UVa: Graduate and Professional Schools Archived February 16, 2015, at the Wayback Machine.. .lib.virginia.edu. Retrieved on 2013-08-09. ^ Roosevelt's Address at William and Mary – Article – NYTimes.com Archived June 8, 2013, at the Wayback Machine.. Select.nytimes.com (1934-10-21). Retrieved on 2013-08-09. ^ Wallenstein, Peter. "Desegregation in Higher Education in Virginia". Retrieved 2014-06-28. 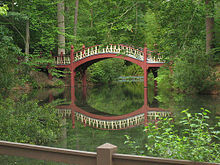 ^ ""America's most beautiful college campuses", Travel+Leisure (September 2011)". Travel + Leisure. Retrieved 26 November 2014. ^ "Wren Building, College of William and Mary". National Park Service. Retrieved December 21, 2008. ^ Larson, Chiles T.A. (Fall 2005). "Did Wren Design the Building and William and Mary Bearing His Name?" (PDF). William & Mary. W&M Alumni Association. 71 (1): 59. Retrieved 2015-04-14. ^ "Facts about Lake Matoaka". The College of William and Mary. Retrieved May 16, 2011. ^ a b c d e "Faculty Handbook" (PDF). 2008. Retrieved December 21, 2008. ^ William & Mary – St Andrews William & Mary Joint Degree Programme Archived April 5, 2012, at the Wayback Machine.. Wm.edu. Retrieved on 2013-08-09. ^ "SACS at William & Mary". The College of William and Mary. Retrieved December 21, 2008. ^ a b College of William and Mary – Best College – Education – US News Archived February 16, 2009, at the Wayback Machine. ^ William & Mary – Apply Archived February 5, 2009, at the Wayback Machine. ^ Barshay, Jill. "Selective Service by Zach Wenner, Jonny Dorsey, and Fagan Harris". The Washington Monthly. Retrieved 2014-08-21. ^ "QS World University Rankings® 2016/17". Quacquarelli Symonds Limited. 2016. Retrieved September 6, 2016. ^ Education (2014-03-24). "20 Public Colleges With Smartest Students". Business Insider. Retrieved 2016-02-01. ^ "William & Mary - About". Wm.edu. Retrieved 2014-08-21. ^ "WSJ: Mason School is a Top 20 Business School". The College of William & Mary. September 18, 2007. Retrieved December 21, 2008. ^ "KeckWeather". Wm.edu. Retrieved September 26, 2008. ^ "The Flat Hat". Flat Hat News. Retrieved 26 November 2014. ^ W&M Ballroom Dance Club Archived March 4, 2016, at the Wayback Machine.. Wmpeople.wm.edu. Retrieved on 2013-08-09. ^ Smith, C. Alphonso (November 29, 1936). "'I Certify On My Honor--' The Real Story of How the Famed 'Honor System' at University of Virginia Functions and What Matriculating Students Should Know About It". Richmond Times Dispatch. Retrieved December 12, 2008. ^ "Judicial Affairs |". Wm.edu. Retrieved September 26, 2008. ^ "12/1/2004 – Holiday Traditions Fill The Season In Williamsburg – Travel – Chattanoogan.com". Chattanoogan.com. Retrieved September 26, 2008. ^ Minnigerode, Charles (1814–1894) Archived August 1, 2016, at the Wayback Machine.. Encyclopedia Virginia. Retrieved on 2013-08-09. ^ "Chapters". Wm.edu. February 4, 2013. Retrieved 2014-06-28. ^ "The Queens' Guard Homepage and Pershing Rifles Co. W-4". The College of William and Mary. Retrieved February 13, 2008. ^ "W&M a cappella council homepage". Retrieved 26 November 2014. ^ "Classical & Jazz Ensembles". 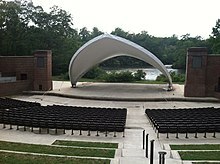 College of William & Mary. College of William & Mary. Retrieved 26 February 2015. ^ "Non-Traditional & World-Music Ensembles". College of William & Mary. College of William & Mary. Retrieved 26 February 2015. ^ "The William & Mary Pep Band". William & Mary Pep Band. Retrieved 26 February 2015. ^ "WCWM Fest". WCWM Fest. Retrieved 25 March 2017. ^ http://web.wm.edu/so/improv Archived September 15, 2011, at the Wayback Machine. ^ "7th Grade Sketch Comedy". Archived from the original on July 19, 2011. Retrieved 26 November 2014. ^ "Sandbox Improv: New group on campus adds to comedy community". Flat Hat News. 2013-01-17. Retrieved 2014-08-21. ^ "History of W&M Mascot and Nicknames". Wm.edu. Retrieved July 21, 2015. ^ "The Brafferton". Wm.edu. Retrieved July 21, 2015. ^ "Indian Warrior and Indian Maiden". Wm.edu. Retrieved July 21, 2015. ^ "William & Mary – Mascot Committee unveils five finalists". wm.edu. ^ "William & Mary – 'Get me the Griffin': William & Mary Announces New Mascot". wm.edu. ^ "William and Mary Hymn". Special Collections Research Center. Retrieved November 7, 2015. ^ "Commencement Speakers". Special Collections Research Center. Retrieved March 5, 2009. ^ "William & Mary – Medal of Honor recipient Leroy Petry to speak at W&M's Commencement". wm.edu. Drone, Eaton S. (1879). "William and Mary, College of". The American Cyclopædia.